August 19 - 23, 2019. 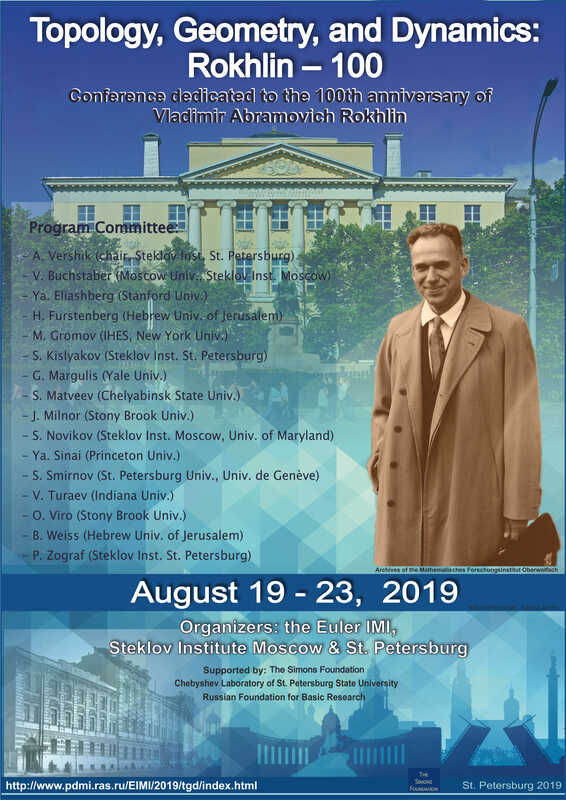 The VENUE of the Conference is the Euler Mathematical Institute (Pesochnaya nab. 10). Memorial session: V.A.Rohklin and mathematics of 2009. The program is planned to consist of plenary talks and secctinal talks of 45 and 25 minuts. Please submit your abstract at registration or send it later at the conference e-mail address. The deadline for registration and submitting the abstract of your talk is 1 May.